By: Stephen Hull I have not, as yet, been able to understand the relationship between Burma’s repressive military dictatorship and the kindness of strangers living in that country. The short trip that I recently took to eastern Burma merely emphasized the contradiction between the State authority and the people. 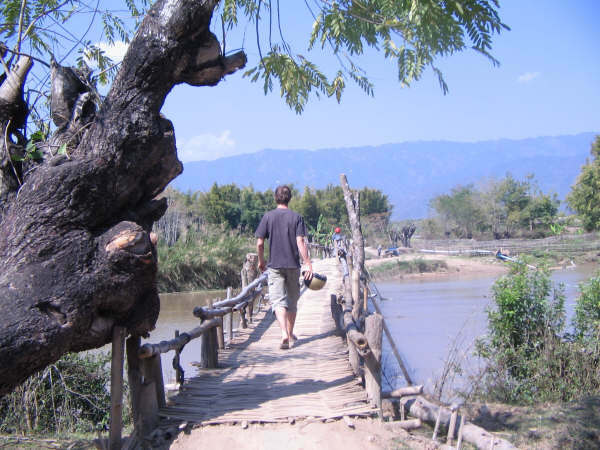 I took this journey with my brother Rob overland from Mai Sai, Thailand to Tachilek on the Burma side of the border and then up to Keng Tung in eastern Shan State. Now it must be stressed for those who might travel into Burma that the military authorities strive hard to keep the dirty side of repression invisible to foreigners. An outsider would likely learn more of the country’s human rights disaster by reading reports written by exiled NGOs than by observing the daily life of the average Burmese. However, the military was ubiquitous during our stay and locals were often ready to reveal their discontent where adequate privacy allowed. Most of the frustration that was related to us centred on the increasing stagnation of the country’s economy from State policies seeking short term gain. For example, on our trip from Tachilek to Keng Tung we passed through seven-lane toll gates intended to collect transit taxes from those travelling through in order to fund the military. Yet the roads were practically abandoned as the price of gasoline was outside the range of most people’s income. Those cars that we did see on the road were all white Toyota Corolla station wagons (yes, every single one!) We were also required to hand out 18 photocopies of our visa at the various check points during the four hour trip. Locals repeatedly told us of the lack of employment and griding poverty increased by excessive taxation. Despite this fact authorities spend close to fifty percent of GDP on the military, leaving little for social services. Although fighting has been occurring throughout Shan State for decades, most of the area around Tachilek and Keng Tung is firmly controlled by the State military. A few hours outside this region (had we been allowed to travel that far) we would have encountered armed opposition groups struggling for local autonomy and thousands of internally displaced civilians – the result of the ruling military’s attempts at securing complete control of the country. Also, just over the hills surrounding Keng Tung one will come upon the world’s second largest (after Afghanistan) source of opium and heroin. Recently local actors have also embarked on large scale amphetamine production. Some individuals in the military and drug trade have profited from this. 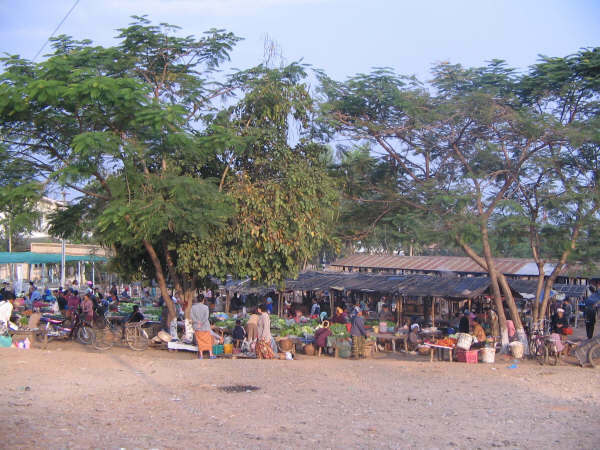 Most locals however remain impoverished. Despite the proliferation of human rights abuses and stagnant economy so many locals were shockingly kind to us as we passed our brief time in the area. Many people were eager to talk to us despite their relatively poor English and our less than fluent Burmese and Thai (Shan are ethnically and linguistically related to Thais and so many speak Thai as well as Burmese). We were repeatedly fed by those we had just met and brief conversations in tea shops turned into instant friendships as we began to recognise those we’d spoken to all over the cosy heart of Keng Tung. Outside of Keng Tung proper we travelled to nearby villagers inhabited by Shan, Lahu, and Padaung ethnic groups separately. 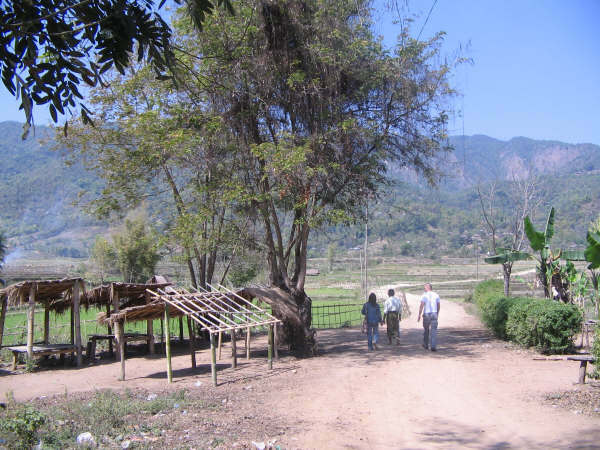 The countryside remains very rural with vast stretches of rice paddy fields, dirt roads, and jungle. Wooden homes on stilts are clustered around temples or churches, depending on the religion. And everywhere we went we were offered green tea and smiles, and all this despite the daily grind of the totalitarian experience. 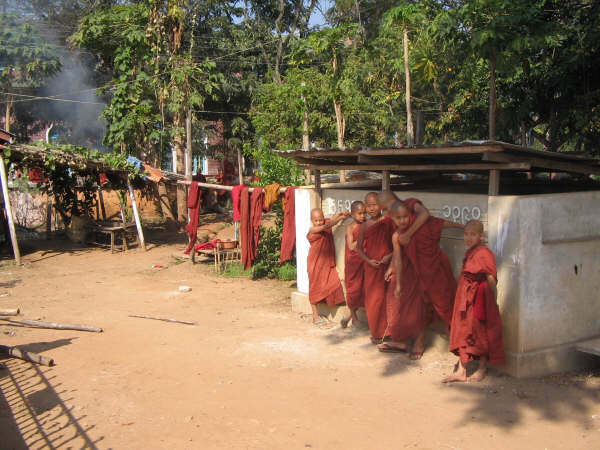 Gallery | This entry was posted in Burma, Guest Authors, Stephen Hull. Bookmark the permalink.